Stitch a little love with this free design from Hudson’s Holidays. Get the pattern. Stitch a cute little heart canvas for your sweetie’s cubicle. DMC blog shares the how-to. See the tute. Here are two pretty new heart embroidery patterns from Kathy Shaw of Shawkl. Get the star heart design. Get the fan heart design. Faith of Ordinary Mommy Design shows us how to make a simply perfect hand-stitched valentine card. See the tute. 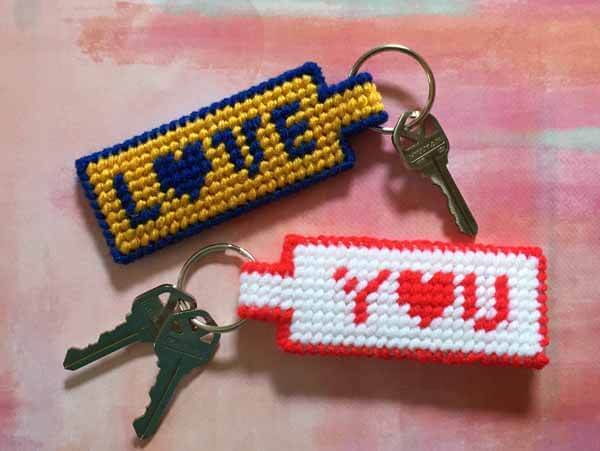 ReFabulous reprises a valentine project that she says is quick and easy enough for a last-minute gift. Go to her blog post for the link to the tute. Here’s a sweet treat from Jacquelynne of The Noble Wife. Download the free PDF pattern.